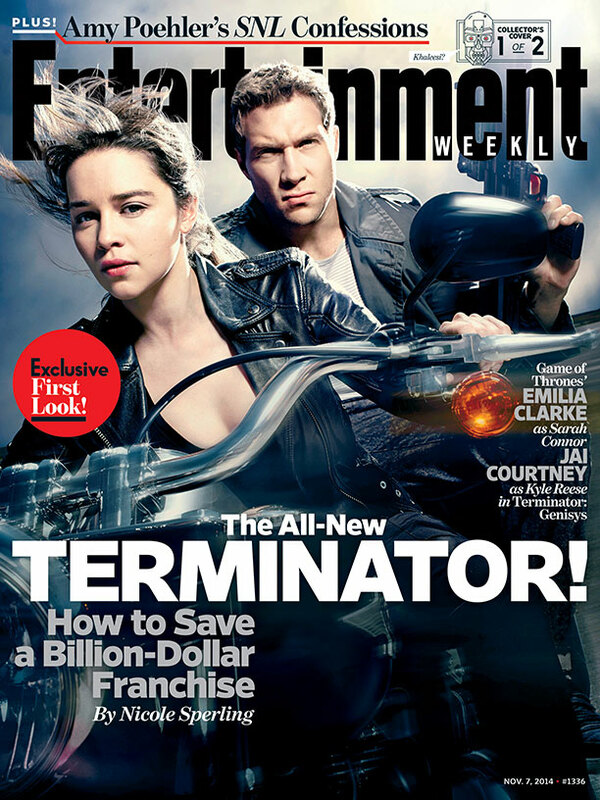 EW Magazine Breaks Terminator: Genisys Exclusive in stores Friday! Looks like the massive cone of silence around Terminator: Genisys is about to be terminated. Entertainment Weekly (EW) magazine is breaking a first look at the film in their new issue that hits shelves on Friday. It comes with two collectors edition covers, the first featuring Emelia Clarke (Sarah Connor) and Jai Courtney (Kyle Reese). The article will of course have plenty more to say and arguably more pictures but some information was released about the story, and about the kind of Sarah Connor we can expect: See this and more after the break (since the information contains mild spoilers).